When the BBC Good Food Show opens at the NEC each November, it really feels like Christmas is just around the corner. So last weekend, I headed down the M6 to Birmingham to take a look around. Normally I like to go on the first day of the show, but for various reasons I ended up going on the final day this year. But that can have its own advantages, as you will find out! This year I took Lyle along with me. He’s been a pretty adventurous eater ever since he was a toddler, and at 13 he is definitely a bit of a foodie! Taking photos at the show always presents me with a dilemma. If I shoot at the start of the day, the halls look half empty. If I wait til they fill up, I can struggle to get a good shot of the stands. I hope my photos do it justice, because the show definitely seemed to be buzzing. 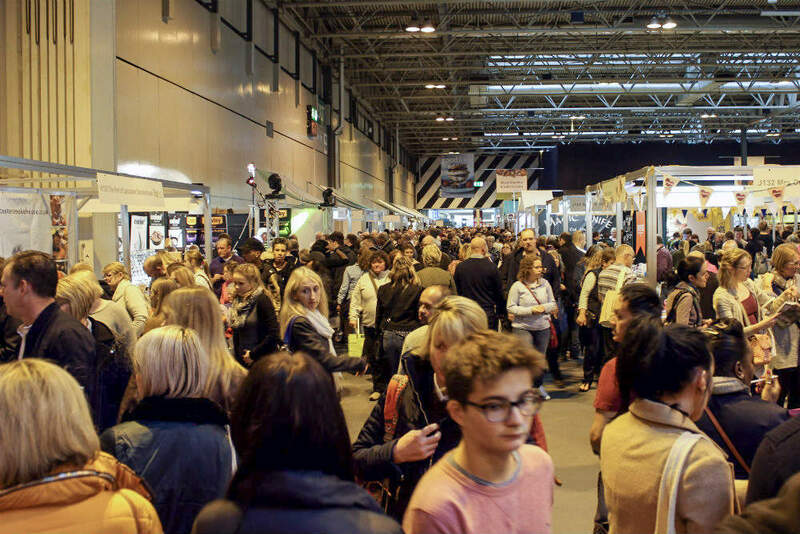 Masses of people had descended on the NEC to eat, drink and pick up some foodie delights! 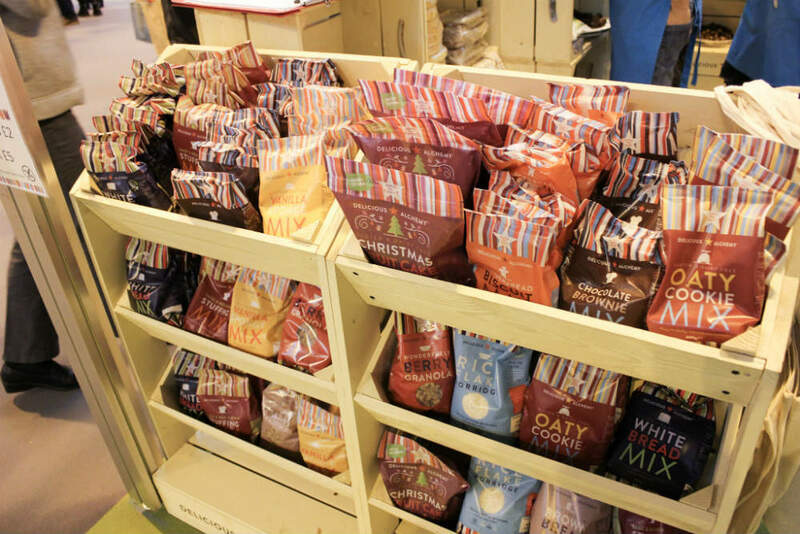 The Good Food Show is an ideal time to pick up gift for food lovers, treats for yourself or just to stock up your kitchen. I spotted a lot of my favourites from previous shows including Marvellous Mixes, Rossmore Oysters and the Snowdonia Cheese Company. But it was also great to spot some new brands that I haven’t seen before. The beautiful Heath and Heather stand was offering samples of their organic teas and infusions. Their range has everything from green tea, white tea and matcha, to Chai and Roiboos. And their fruit infusions include familiar varieties like Lemon and Ginger, as well as more unusual combinations like Sage and Lemon Myrtle. I spent some time chatting with Keith on the Nomad Health stand. Keith is a gluten intolerant diabetic, and his wife is a coeliac. Both are keen gardeners, and after using seeds and grains in their food, they decided to try using them to make pasta. 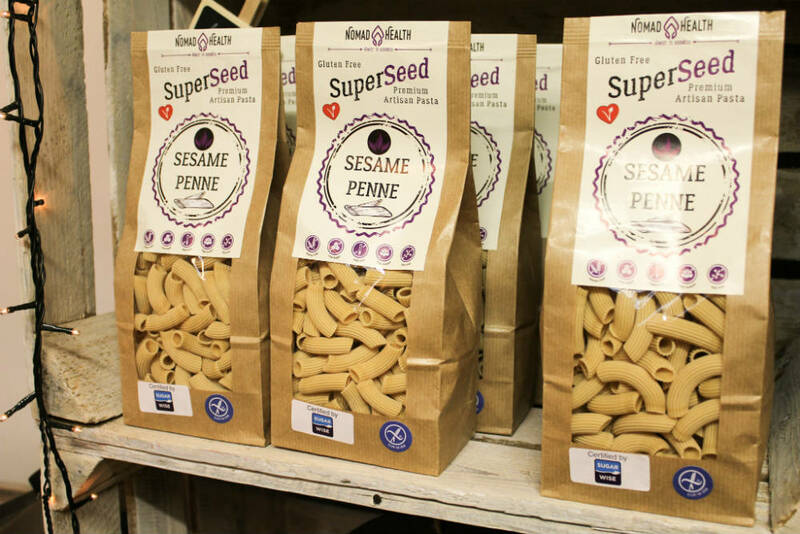 It’s not an easy task, but they have developed a fantastic range of pasta made from things like millet, sesame seeds and quinoa. I’ve been underwhelmed by gluten-free pasta when I’ve tried it before, but this pasta is really excellent. It’s well worth checking out if you are gluten-intolerant, diabetic, or just looking for a higher protein alternative to standard pasta. I picked up a pack of the Sesame Fusilli to try at home, as well as a pack of their scrummy gluten-free gingerbread cookie mix! And talking of delicious gluten-free food, I highly recommend checking out the Delicious Alchemy website. Although Lyle and I aren’t gluten-intolerant, we couldn’t resist sampling their chocolate brownies. We couldn’t believe how squidgy and chocolatey they are, and I quickly picked up a few packs to bake at home. I think they’d make a great gift for a gluten intolerant food-loving friend. Later in the week I’ll be sharing some other ideas for gifts that I spotted around the show. Remember I said that the Good Food Show is a great place to pick up a Christmas bargain? My best bargain came from an old favourite stand – the Port of Lancaster Smokehouse. 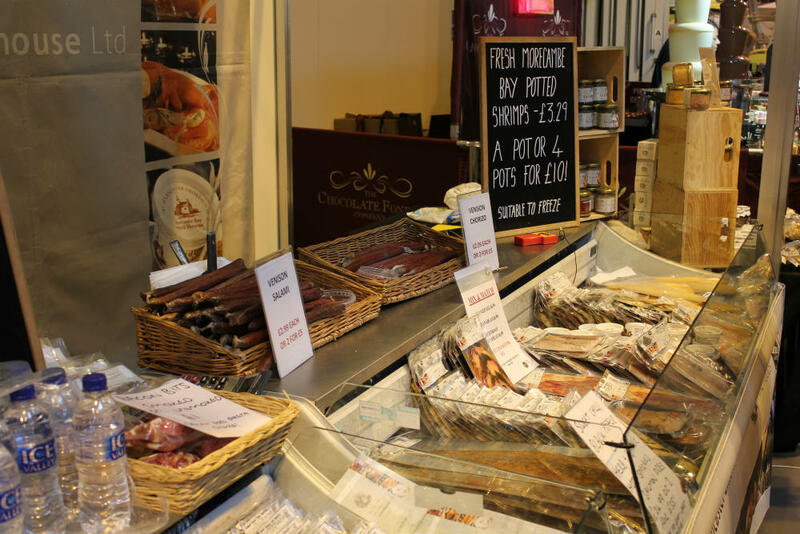 Back in June at the Good Food Show Summer, I indulged in their smokey chorizo and delicious smoked salmon pate. But this time it was their fabulous hams that caught my eye. Partly because they look amazing, and partly because they were being sold at a whopping 50% discount. I picked up a huge ham which was reduced from £60 to £30. It’s currently sitting in my fridge, ready to be turned into my traditional Christmas Eve Ham. I can’t wait! 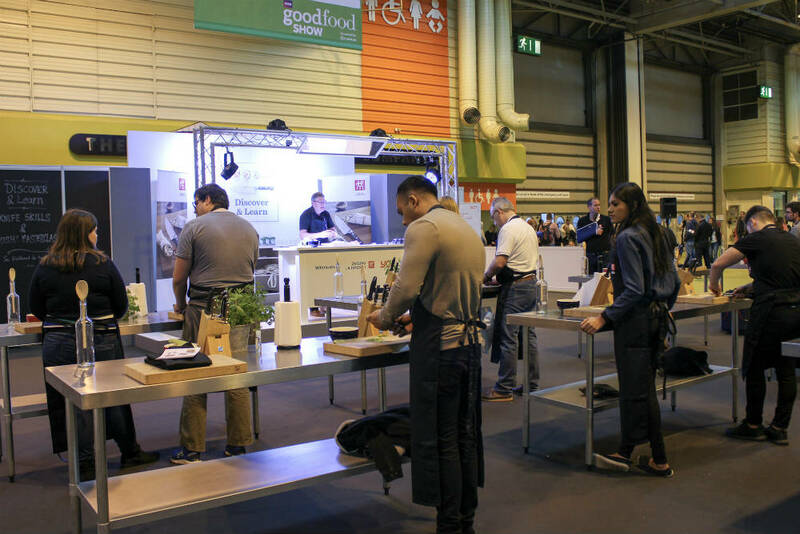 The Good Food Show isn’t just about shopping, there are plenty of activities as well. I spotted book signings, cooking demonstrations and of course there’s the Supertheatre as well. The Taste of Northern Ireland stage was shining a spotlight on the very best food from the area. There were plenty of opportunities for sampling the food as well. And of course there are also plenty of opportunities for sampling drinks! As well as the big brands that you already know, you can spot plenty of small producers. I found some really interesting gins on my journey around the show, and I’ll be sharing some of my favourite brands in another post later this week. After a few hours of shopping and tasting, our day at the show was over. Lyle and I headed back home laden down with bags of shopping, and of course that massive ham! 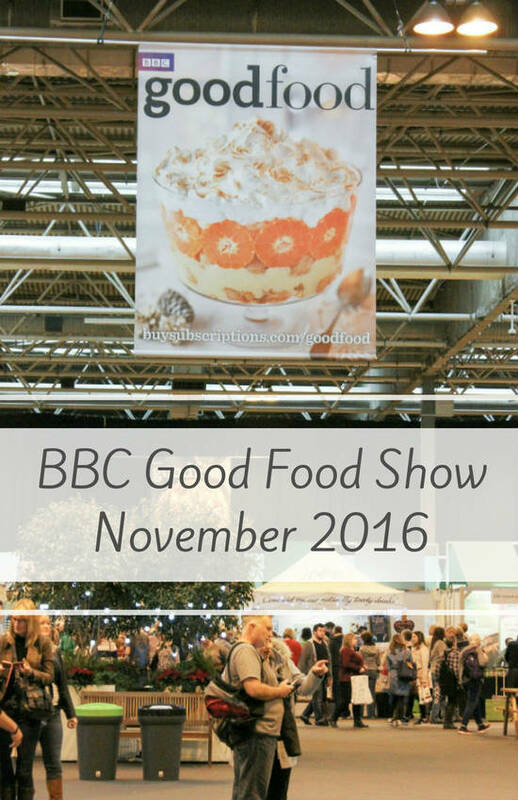 The BBC Good Food Show is an excellent day out for any food lover, and I can’t wait to go back next November. Why not check out the other BBC Good Food Shows that run throughout the year?